An artist’s rendering of a downtown Long Island affordable housing development that planners hope will attract young people. Rallying Long Island’s developers and community leaders to make the Island more appealing—and affordable—for its younger generations got a big boost in Plainview Wednesday morning when a new initiative called Destination Long Island was announced at a conference room of the Marriott Residence Inn packed with local investors, Nassau and Suffolk politicians, environmental activists and a diverse group of professionals under 30 years old. Spearheading this effort was Donald Monti, CEO of Renaissance Downtowns LLC, an innovative developer of mixed-used projects in Bristol, Conn., Huntington Station and one just announced in Hempstead. 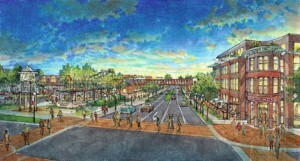 Monti said the young people of LI will stay here if they are provided with the types of “urban nodes in suburbia” that they want, noting that the community in Bristol recently promoted an event called “the pop-up piazza” through social media and drew 20,000 people to the redeveloped downtown community—an unprecedented gathering. He wants the developing community here to recreate that experience throughout the Island. Unless the market responds to their needs in the coming years, he said, some 65 percent of LI’s young professionals ages 22 to 35 are projected to leave for other places ranging from Queens to Florida and points west, wherever they can find what they’re looking for at a price they can afford. 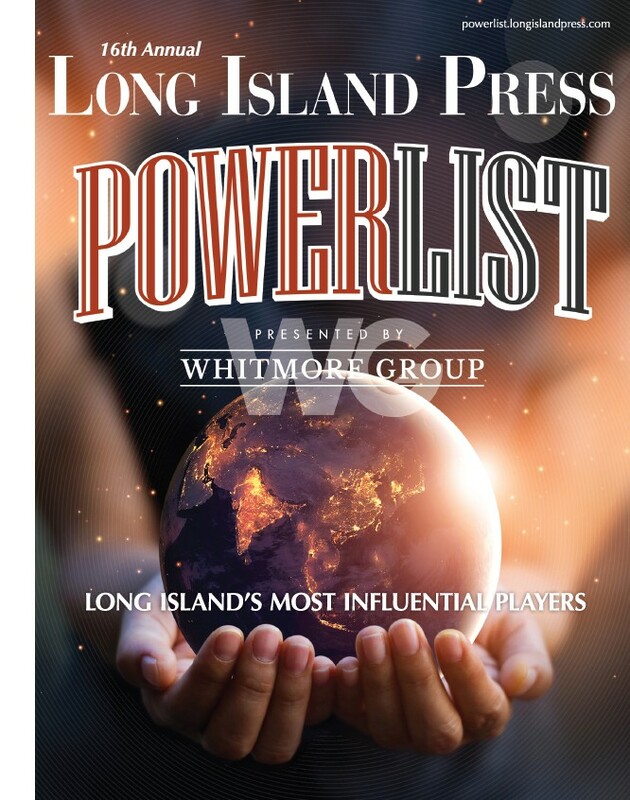 Without their presence, there’s little hope that LI’s economy will fully recover from the great recession, noted Martin Cantor, director of the Long Island Center for Socio-Economic Policy. 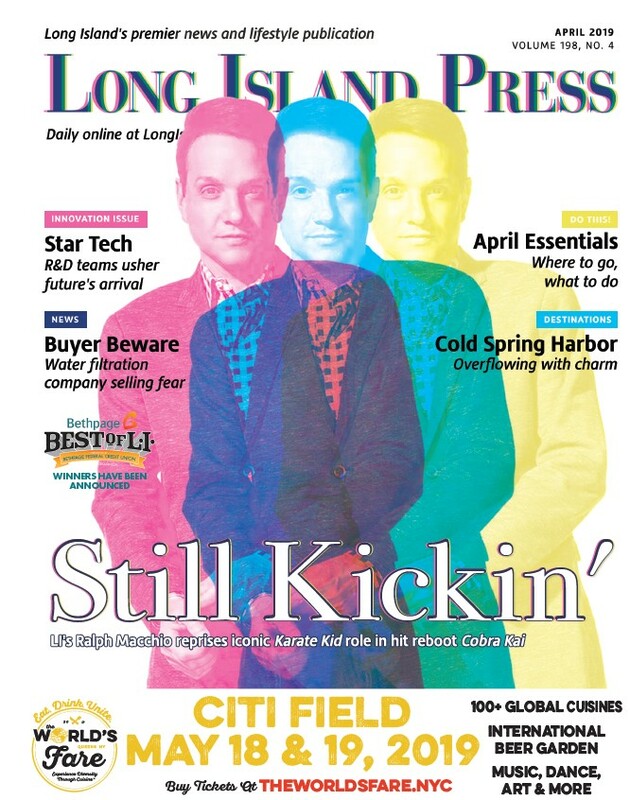 Creating a place that people are passionate about is one of the main goals of Destination Long Island, said Neil Takemoto, managing partner of the CSPM Group, based in Washington, D.C., which specializes in using social media to spur urban revitalization. His group, which stands for “crowd-sourced place making,” is working with Renaissance Downtowns. Takemoto hoped that the summit would inspire further collaboration through a new interactive website, www.destinationli.com, so people can share ideas about what’s possible in their communities, campaign for their preferences and find business partners and investors to make it happen. Michael Watt, executive director of LIincs, said he was encouraged by the turnout at the summit. “There is a diversity here that I’ve never seen before,” he said. Transforming Long Island’s downtowns into “walkable, livable communities” will make young people want to remain, he noted. “This is the bait that the fish want to eat,” Watt said. The benefits of a “walkable urbanism” was the theme of the event’s keynote speaker, Christopher Leinberger, a Brookings Institute fellow and president of LOCUS. He showed two clips from the movie, Back to the Future, which contrasted life in 1955 and 1985, when the village green had been paved over by a parking lot. “The Millennials are demanding this, but we’re not giving it to them [on Long Island],” he said. He advised the developers and community leaders in attendance to pay attention to the market before it’s too late.